Hey there! 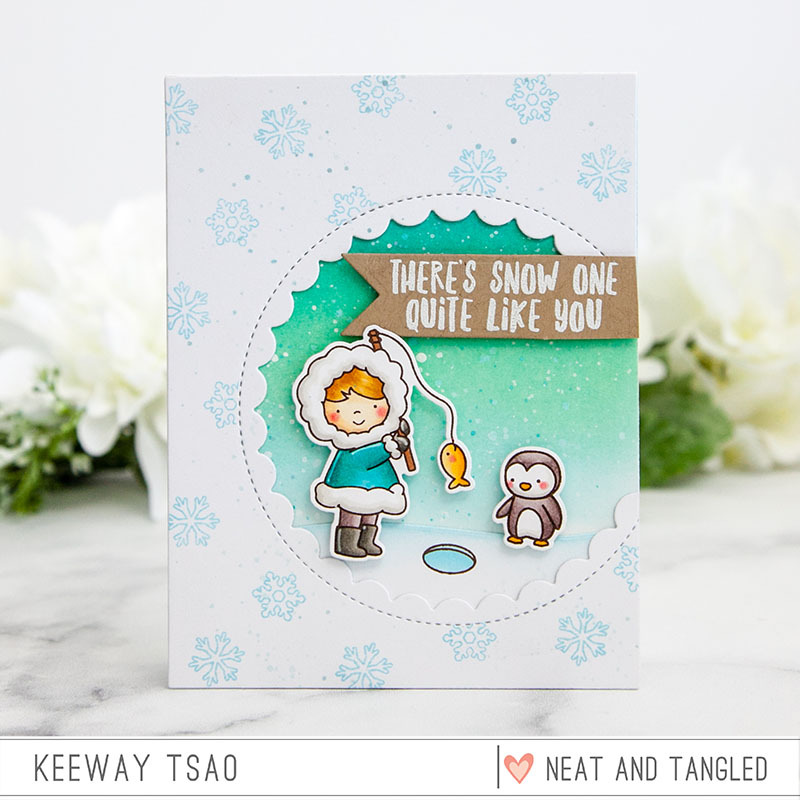 It's Keeway and I'm thrilled to be here to send over some winter inspirations for your holiday cardmaking and the Stay Cool set is just perfect to help us out today! I started by stamping a few images from the stamp set in dark brown hybrid ink and colored them with copic markers. Then I die cut the images out with the coordinating dies. I added the fish to the end of the fish line and used a thin copic multiliner to connect it to the fish's mouth. To frame this little scene, I die cut a circle out of an A2 sized white card stock, offset to the right side. I used the snowflake image from the Stay Cool stamp set and Snow Fun stamp set to create a stamped pattern background. For the background I laid behind the frame, I ink blended Peacock Feathers, Cracked Pistachio, and Tumbled Glass distress oxide inks. 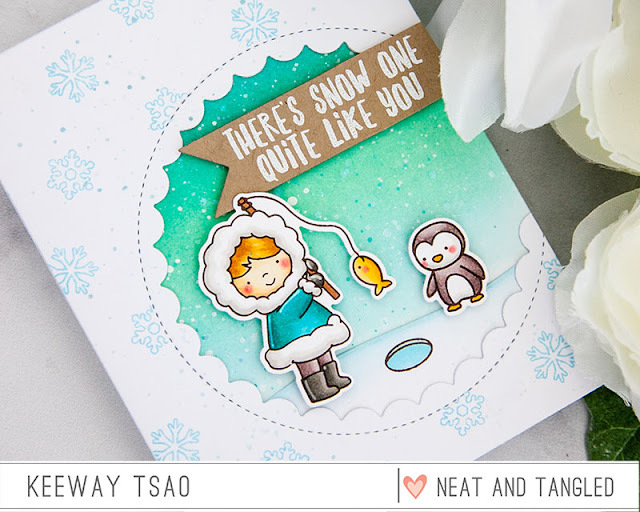 I also die cut a snow drift and blended the edge with Tumbled Glass distress oxide ink. I stamped the image of the hole onto this piece and colored it with copic markers. 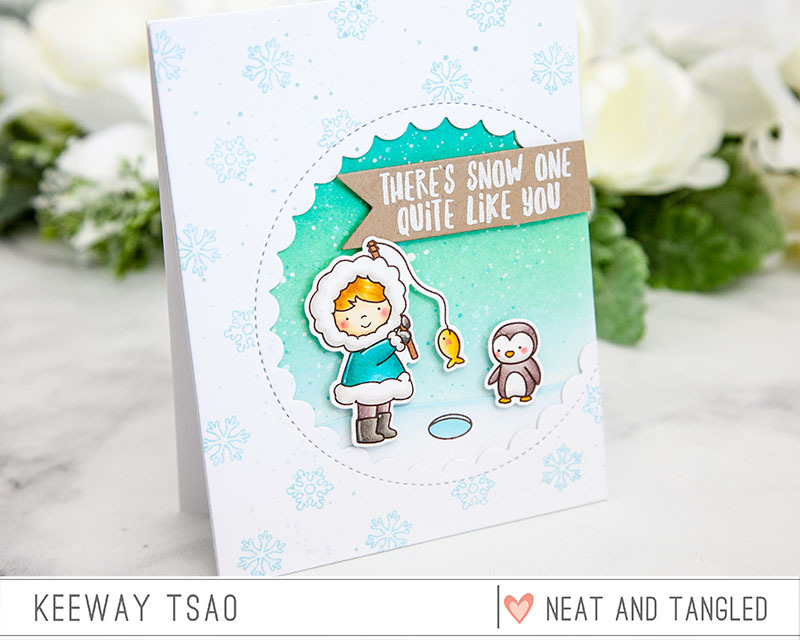 I stamped the sentiment from the Snow Fun stamp set in Versamark ink onto kraft card stock, and heat embossed it in white. 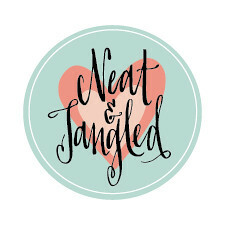 I used the fishtail banner die in the Triangle box to partial die cut the shape around the sentiment. 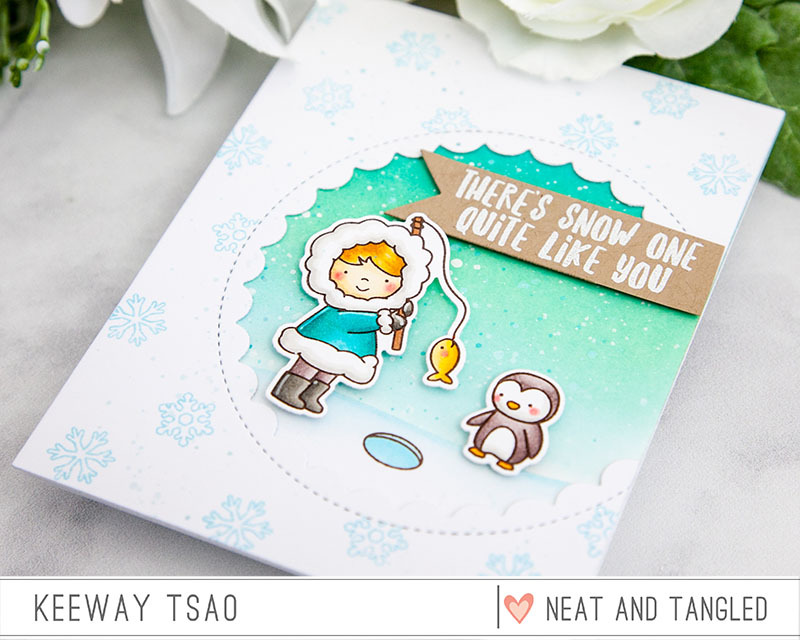 I added this banner, the eskimo, and the penguin to the card with foam squares to finish it up! Thanks for joining me today, and see you next month!